In order to not only eradicate polio from Nigeria but also its debt that stemmed from the disease’s vaccinations, Bill and wife Melinda Gates will reportedly pay off the country’s $76 million debt to Japan over a 20-year timeframe, Quartz Africa reports. Through their Gates Foundation, the loan repayment was finalized since Nigeria met its original agreement of administering above “80 percent vaccination coverage” throughout the country’s most affected regions. 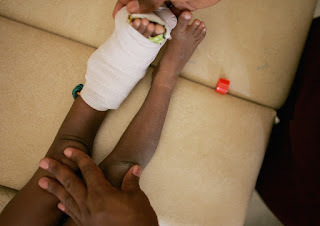 Quartz notes that Nigeria accounted for over half of the world’s polio occurrences in 2012. According to Global Citizen, Nigeria and Japan joined a pact under the Overseas Development Assistance (ODA) in 2014. The partnership sought to assist in the erasure of polio. The site also notes that new cases of polio didn’t surface in 2017. Polio cases are still found in Afghanistan and Pakistan.